Kristen Collins, senior director of Anti-Cruelty Behavior Rehabilitation for the ASPCA, oversees the operation of the ASPCA’s Behavioral Rehabilitation Center in Madison, N.J. At the Center, Collins and her staff design and implement behavior modification treatments to reduce fear and anxiety in severely undersocialized, fearful dogs, making adoption possible. The Center’s findings will serve as the basis for a study to be shared with the animal welfare and scientific communities. Due to the success of the Rehabilitation Center program, the ASPCA has decided to build a permanent facility near Asheville, N.C., scheduled to open its doors in 2017. There, Collins and her team will focus on saving more lives by continuing to work with behaviorally challenged dogs on-site, conducting new research projects and sharing knowledge with other animal welfare organizations across the country through a new Shelter Mentorship Program. 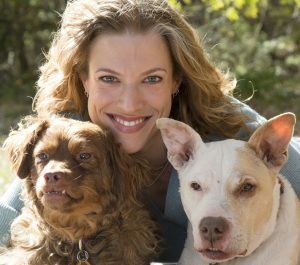 Prior to her assignment at the Rehabilitation Center, Collins worked with victims of animal cruelty as part of the ASPCA’s Anti-Cruelty Behavior Team (ACBT), where she conducted specialized behavior evaluations for animals rescued from dog fighting, puppy mill and hoarding situations, collecting information to determine the best outcome, assist with shelter partner placement and provide supporting evidence for prosecution. Collins, along with the ACBT, also played an integral role in the creation of the ASPCA’s first enrichment and behavior modification programs for animals held as evidence during ongoing cruelty cases—an essential aspect of animal rescue operations, as custody proceedings can last for months to years. Additional activities include conducting animal behavior research, writing and editing articles on animal behavior, and speaking on animal behavior topics at professional and academic conferences. Collins has been interviewed and quoted by publications including Woman’s Day, Parade, Reuters and the New York Post. She also taught an animal-behavior practicum at the University of Illinois and appeared as a guest lecturer for the University of Illinois Animal Sciences Department. Collins, an Associate Certified Applied Animal Behaviorist (ACAAB), holds a master’s degree in applied animal behavior from the University of Illinois.